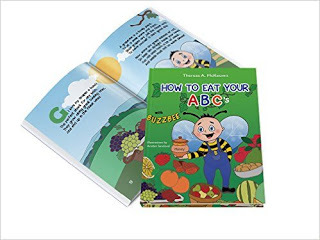 Witty and clever rhymes combine with vibrant, colorful illustrations to teach the alphabet and encourage healthy eating in How to Eat Your ABC’s by Theresa A. McKeown. Little BuzzBee is your host flying from A to Z talking about fruits, vegetables, and other edibles kids can find in the garden. This book is a neat way to learn about nutrition and help your kids gravitate toward healthy eating. One thing I could see this book being used for is as a family project where parents and/or grandparents help youngsters find a recipe to make based upon each letter. It might also inspire them to take up gardening to grow their own food. My one challenge with the book is its length. 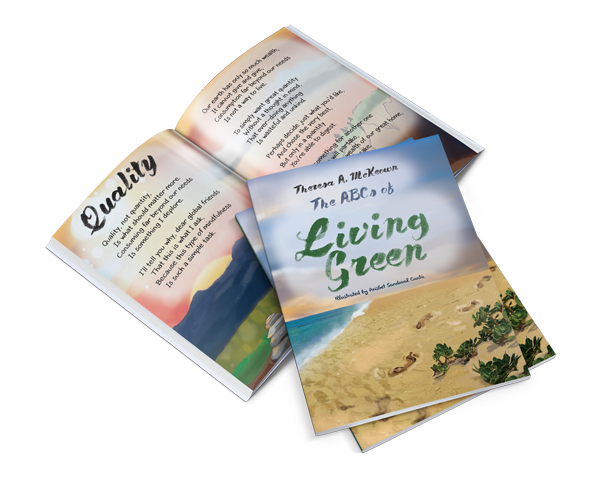 Kids who are learning their ABCs may not have the attention span to sit through the reading of three to five lines of verse for 26 letters. There’s a lot of helpful information included, so I understand why the length was necessary, I just don’t believe it meets the expectations of the market that way. How to Eat Your ABC’s seems to be for a child in the 7 to 10 age range. If that’s the intended market, then it works. I truly love the focus of the book and hope to see more from this author. I received a free digital copy from the author through Pump Up Your Book. This review contains my honest opinions, which I have not been compensated for in any way.